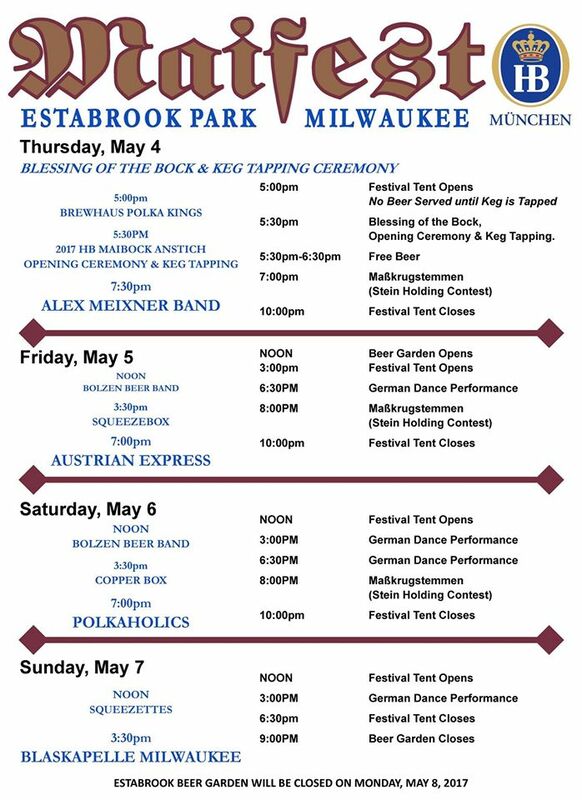 After some really fun gigs in Nashville, Waterloo, and Champaign- our little polka bus is pointing towards some more familiar territory of Milwaukee, Cleveland, and Hoboken as well as a new stop in Pottstown, PA.
Thursday will be the opening of Maifest in Estabrook Park in Milwaukee. 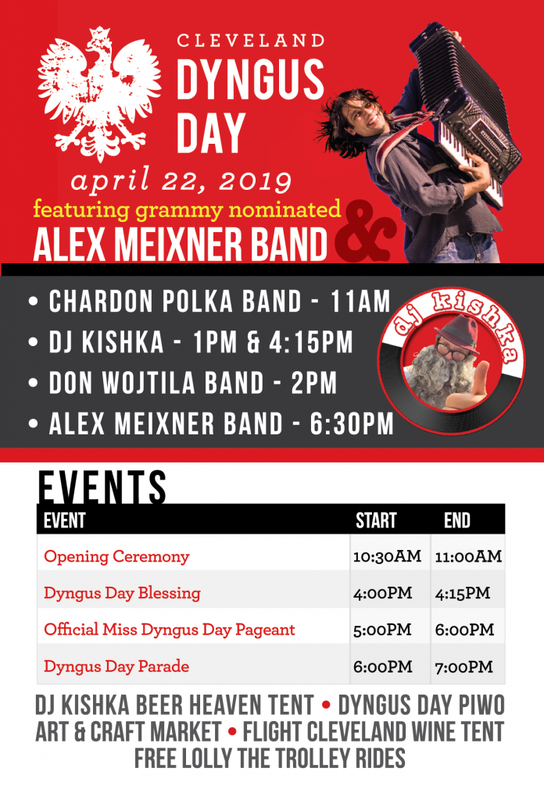 The Alex Meixner Band will be playing at 7:30 after the keg tapping and masskrugstemmen (as well as the Brewhaus Polka Kings). 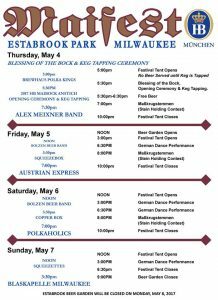 We’re looking forward to seeing our Milwaukee peeps for this fun outside festival as the weather is finally preparing to get nice for y’all! Our buddy, Ted Lange will be sitting in with us for this gig, so it should be a rocking musical time too. Friday brings us to the Donauschwaben Center in Olmsted Falls, OH (suburban Cleveland) for “Cinco de Meixner” with our awesome friends –STV Bavaria. There are still advance tickets available as it’s a beautiful, large hall– so bring everyone you know for a great time! Go to http://www.stvbavaria.org/ for more information on how to purchase tickets. 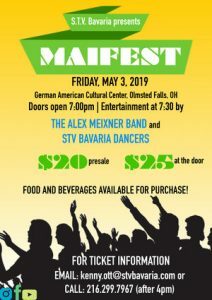 Saturday is the opening of the Maifest season at Pilsener Haus in Hoboken, NJ. 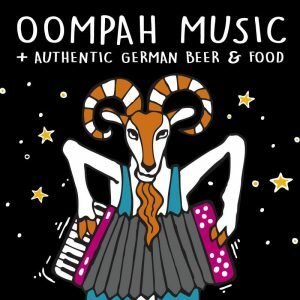 It’s always a good time here- with a great variety of beers on tap, excellent food, and a cozy atmosphere. 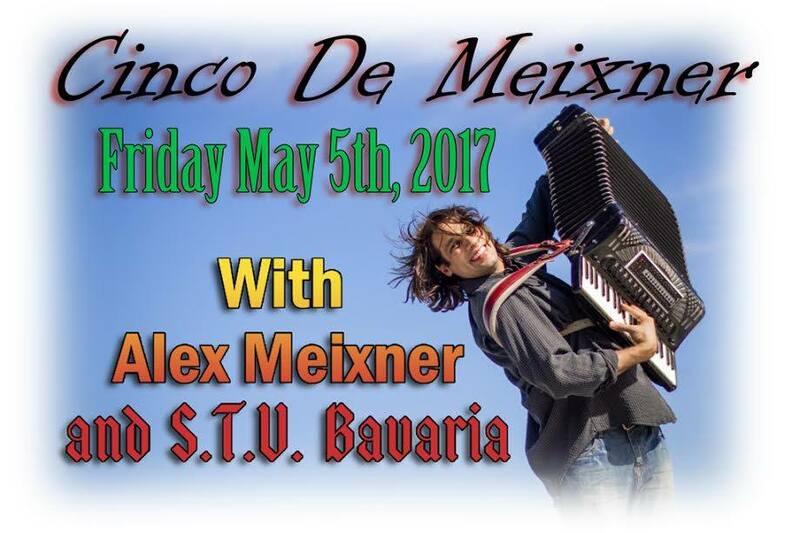 C’mon down to rock and polka from 7-11pm with the Alex Meixner Band. 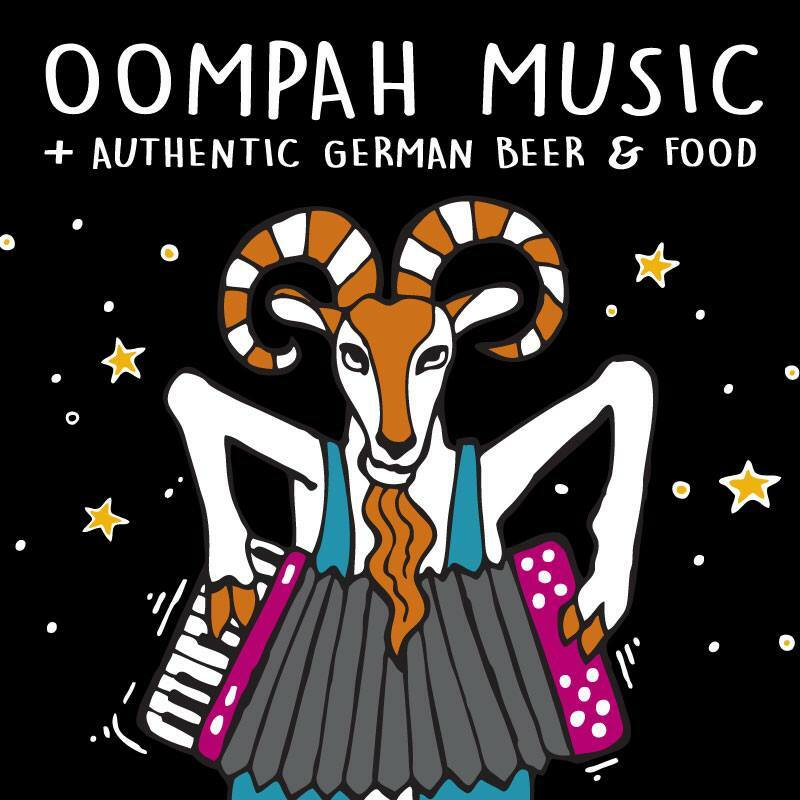 Sunday will be a new venue for us…Sly Fox Brewery in Pottstown, PA presents their annual Bock Fest and Goat Race. I’m told this is a pretty awesome scene, so I’m particularly excited to be part of it! Thanks for everyone supporting the music and enjoying themselves at our gigs… It really is awesome to see all of ya.